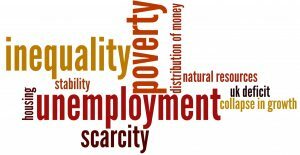 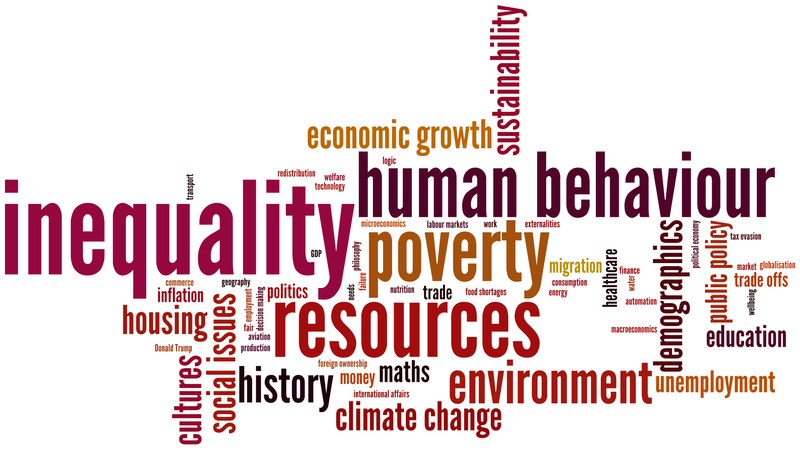 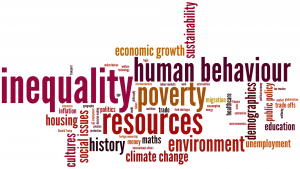 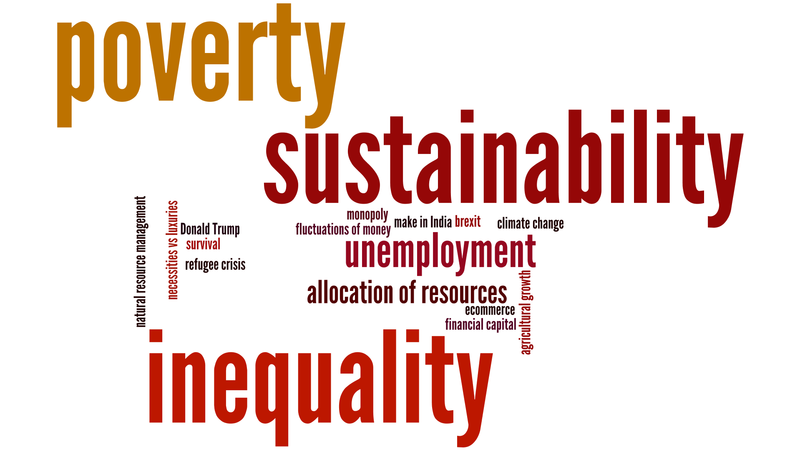 Since 2016 we have been asking economics teachers who are using CORE in instruction around the world to run a simple word clouds exercise. 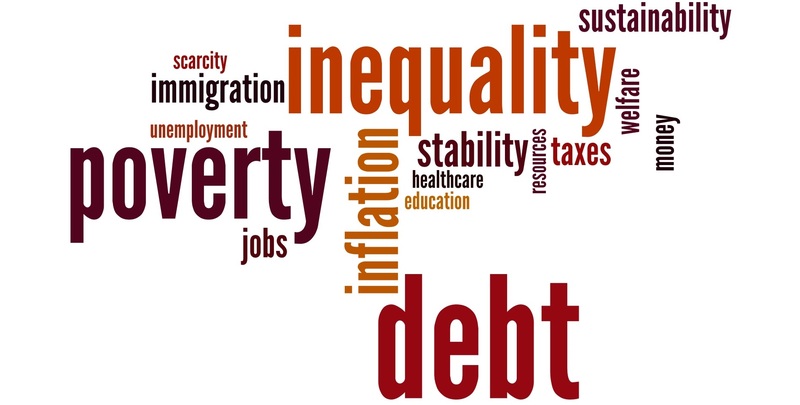 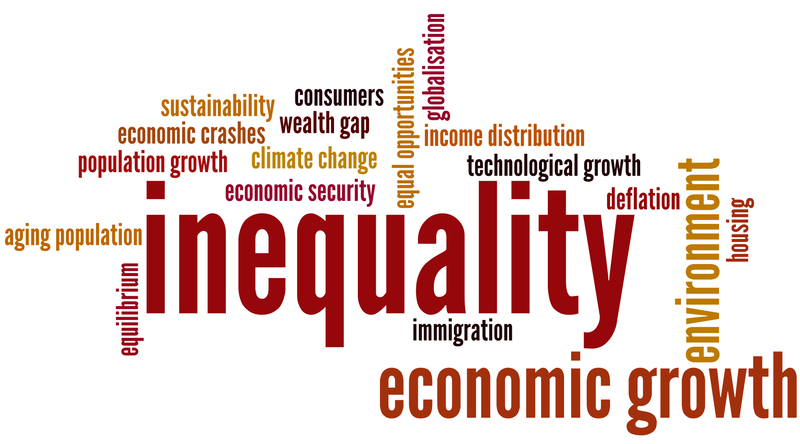 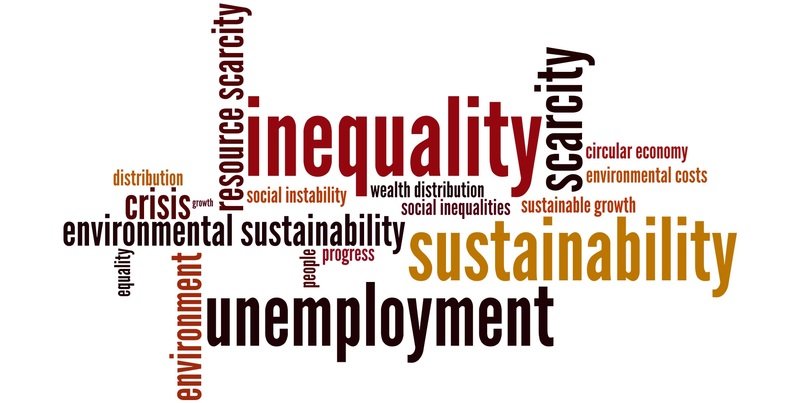 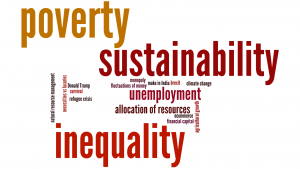 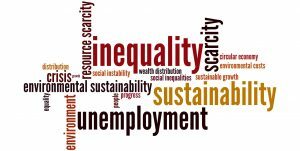 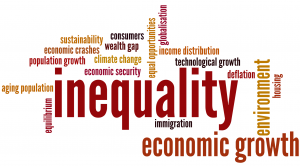 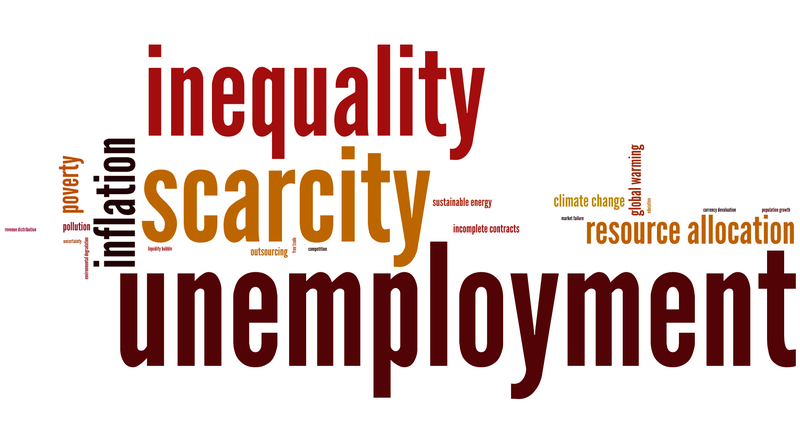 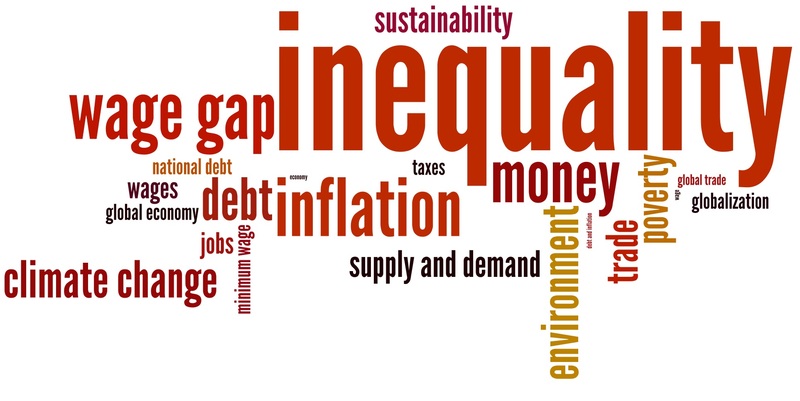 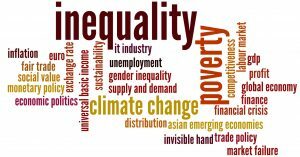 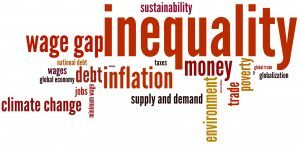 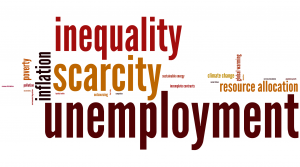 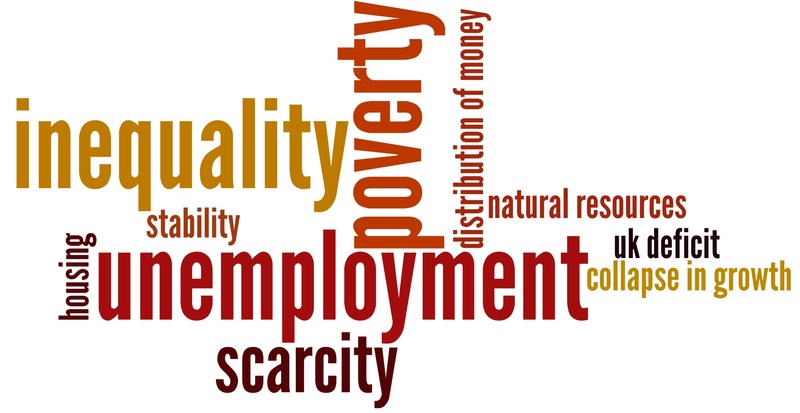 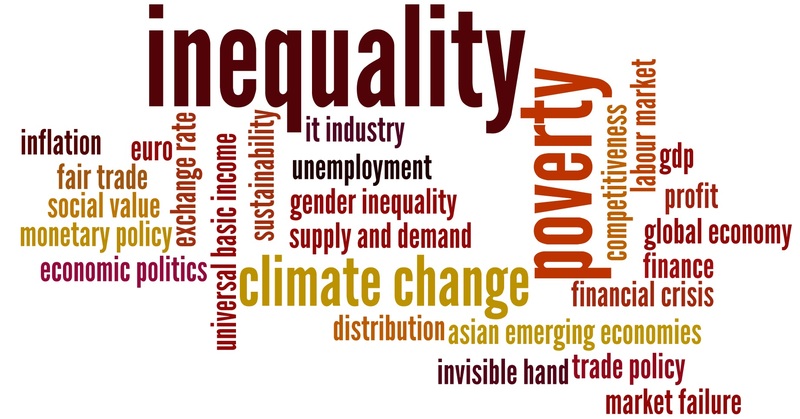 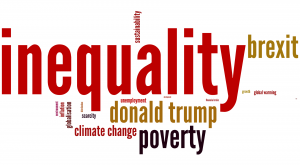 They pose the following question to students on the first day of their introductory classes: ‘What is the most pressing problem economists today should be addressing?’, with the results summarised in a word cloud. 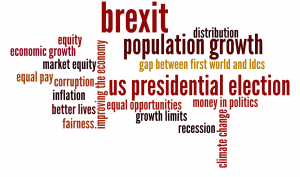 Two years’ worth of results were published as a blog in November 2017, Escaping from imaginary worlds. 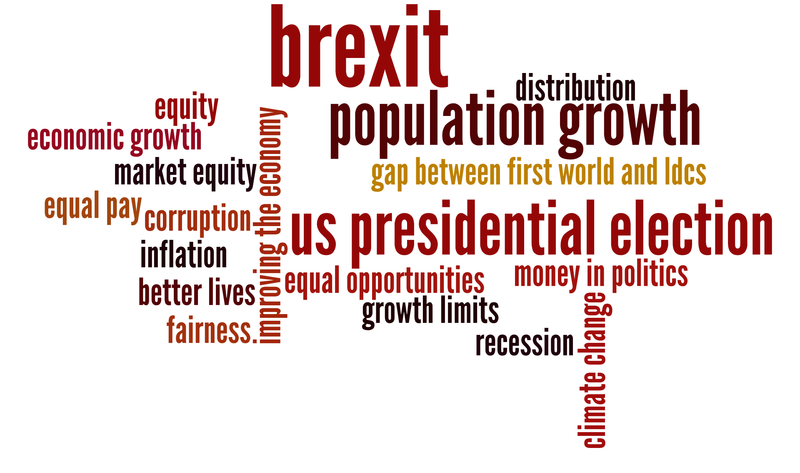 We continue to ask teachers to run the exercise with each new class and over the years 2016-18 we have collected results from 4,442 students from 25 universities in twelve countries. 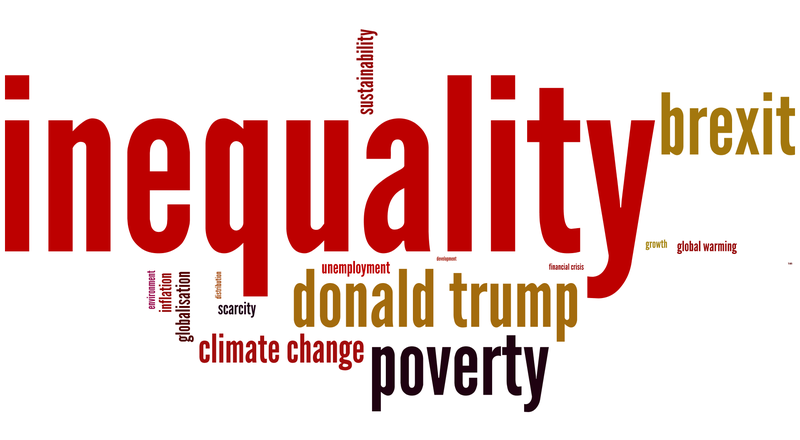 The combined global word cloud made out of these results is displayed below, together with the results for each university (in cases where universities collected data from more than one cohort of students the results were pooled into a single word cloud).